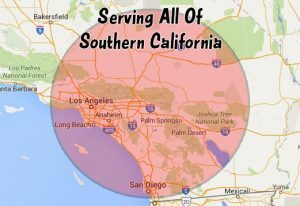 If you are looking to get artificial grass installed in Southern California, choose the #1 artificial grass company in the region Save Pro Turf. We are your direct source for synthetic turf with years of manufacturing and installation experience. We supply, distribute, and install a full line of premium synthetic turf throughout Southern California for both commercial and residential use. The possibilities are endless, artificial turf is great for landscapes, play areas, pet areas, golfing greens, roof decks, and patios. We have a wide variety of products to fit your budget and keep your lawn looking freshly cut and bright green. For every square foot of natural grass that is replaced with artificial turf, 55 gallons of water is saved each year. Residential and commercial customers can drastically reduce their water bill and receive tax credits and rebates from their municipalities for their water conservation efforts through installing artificial grass. Save Pro Turf is a local, licensed, family owned and operated artificial turf company which takes great pride in every synthetic lawn installation. We have developed and tested the best artificial grass and it is the cleanest, safest, and longest lasting alternative to natural grass without the cost and maintenance. We also offer designs, estimates, and ideas. If you’re searching for a beautiful lawn that will save you money contact Save Pro Turf today! © Copyright 2019. "Save Pro Artificial Grass". All Rights Reserved.